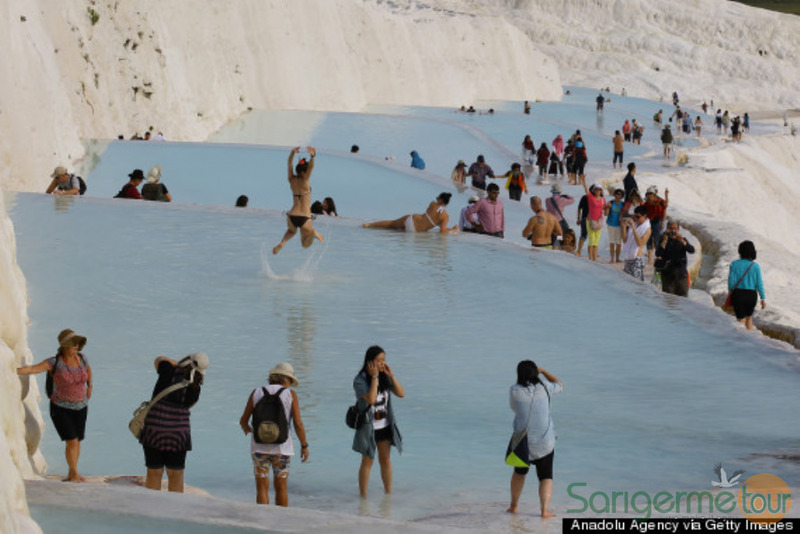 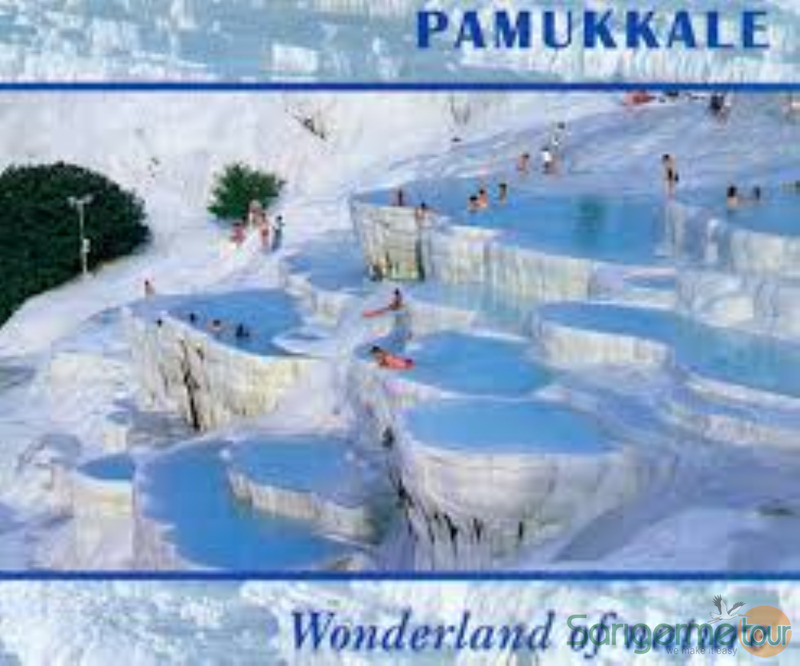 Spend the day visiting Pammukale (cotton castle) one of the natural wonders of Turkey. 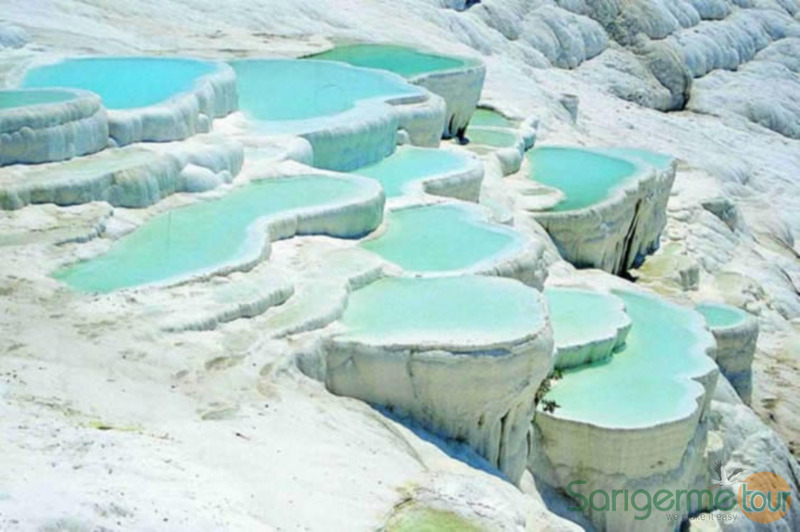 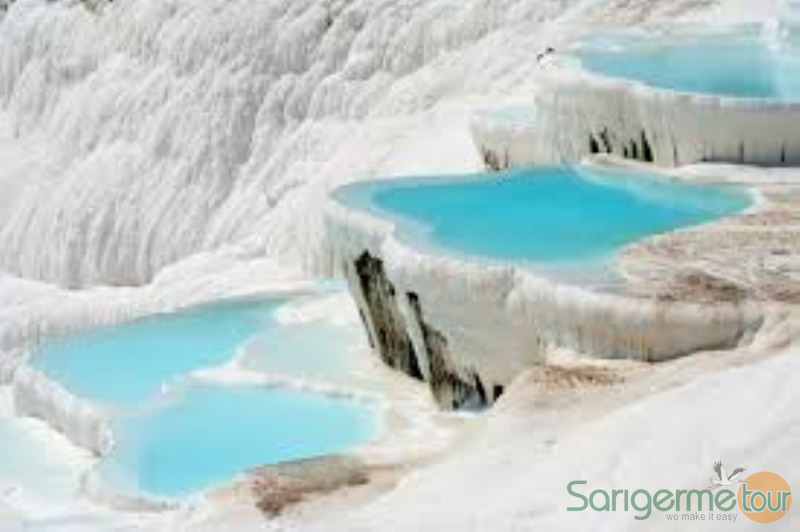 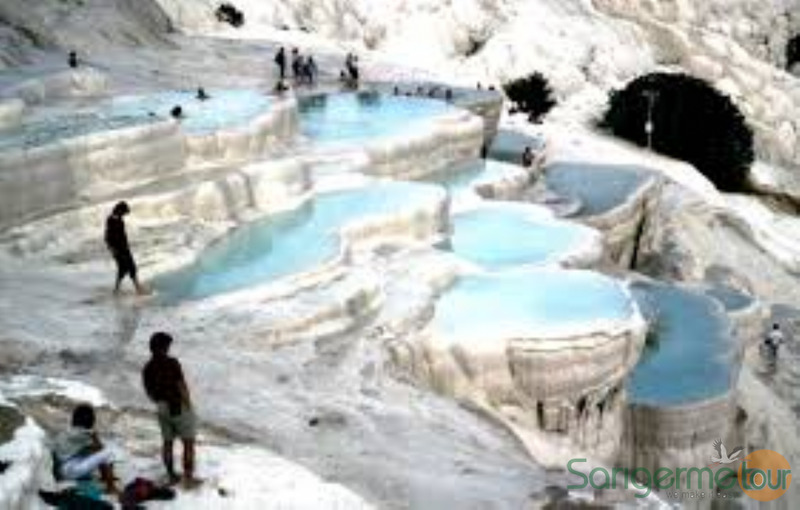 Natural spa and hot spring waters full of calcareous salts have cascaded down the mountain side over the centuries creating a network of gleaming white rock and pool formations. 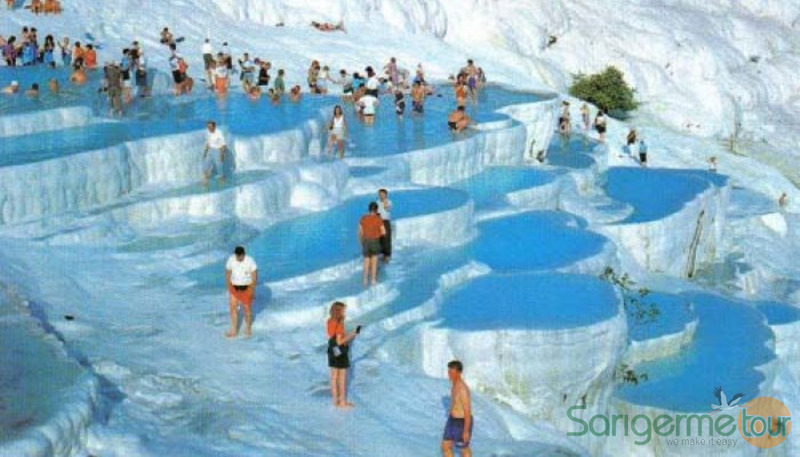 You will get the chance to use Cleopatra's pool so don't forget your swim wear! 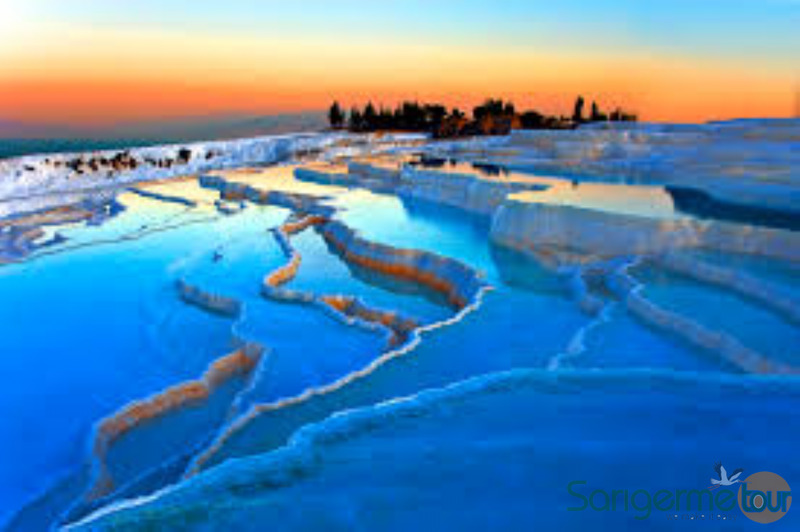 Then visit the spa city of Hierapolis built by the Romans to harness the mystical qualities of the waters, with one of the most extensive ancient cemeteries in Asia Minor. 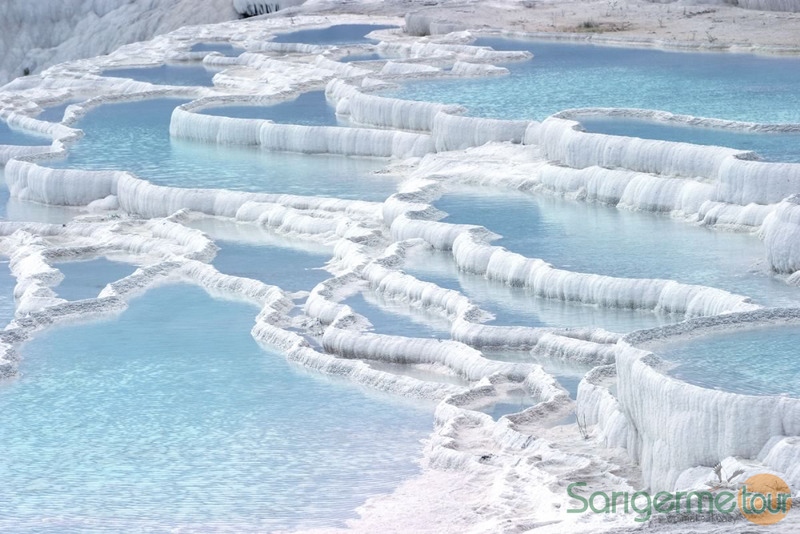 07:00 pick up from your hotel.